People often ask me if I believe that my Inattentive ADHD went away once I reached adulthood or if I just figured out how best to work with my symptoms. I am not sure that I know for sure the answer but a new study in the very well respected journal Pediatrics gives us some insight into this question. The researchers in this study followed kids with ADHD for 10 years from childhood into adulthood. There is some good news and some bad news in the study findings and I will give you the good news first. Well known ADHD researchers, such as Russell Barkley have speculated that 70% of children with ADHD will still report at least one impairing symptom of ADHD as adults, and as many as 50% will still have a diagnosis of ADHD as grown-ups. These numbers are most depressing and the current study reports that the actual picture may not be so bleak. 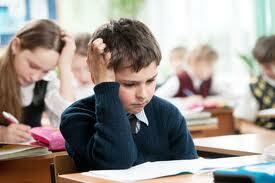 In the Pediatrics study, the researchers found that less than 30% of kids with ADHD still had symptoms as adults. That's the good news. Now the bad news. While fewer adults carried the ADHD diagnosis into adulthood, 47% of the adults that no longer had ADHD symptoms, had other mental health issues. This news is not as bad as you might think as mental health issues were also common in adults without childhood ADHD. Thirty-five percent of adults without childhood ADHD also had at least one mental health condition. The most concerning finding from this study had to to with suicide rates. The researchers found that death from suicide was nearly five times higher among adults with childhood ADHD when compared to the controls without childhood ADHD. Interestingly, in the adults with persistent ADHD, 81% had at least one other mental health diagnosis. The diagnosis that were seen most include substance abuse, depression, anxiety and antisocial personality disorder. Many psychiatrists in the ADHD community have weighed in on the findings of this important study The most common comment that I have read has to do with the need for a more complete assessment of kids with ADHD. ADHD experts are convinced that the 47% and 81% with the "other" mental health issues as adults, likely had those issues as kids and likely were treated for ADHD INSTEAD of for the other conditions. One psychiatrist commented that he believed that most inattentive ADHD symptoms in kids was nothing more than a missed diagnosis of anxiety. I believe that his beliefs greatly simplify inattention but it demonstrates the point that appropriate diagnosis in extremely important. I have mention in several posts and in Commanding Attention, that many of these co-existing mental health conditions can look just like ADHD. It is important however to diagnose them because they are managed and treated in a very different way. I will post more on my thoughts about my own inattentive symptoms in childhood and adulthood in my next post.